PennsylvAsia: Taiwanese film More Than Blue (比悲傷更悲傷的故事) to remain in Pittsburgh through March 23 (at least). Taiwanese film More Than Blue (比悲傷更悲傷的故事) to remain in Pittsburgh through March 23 (at least). 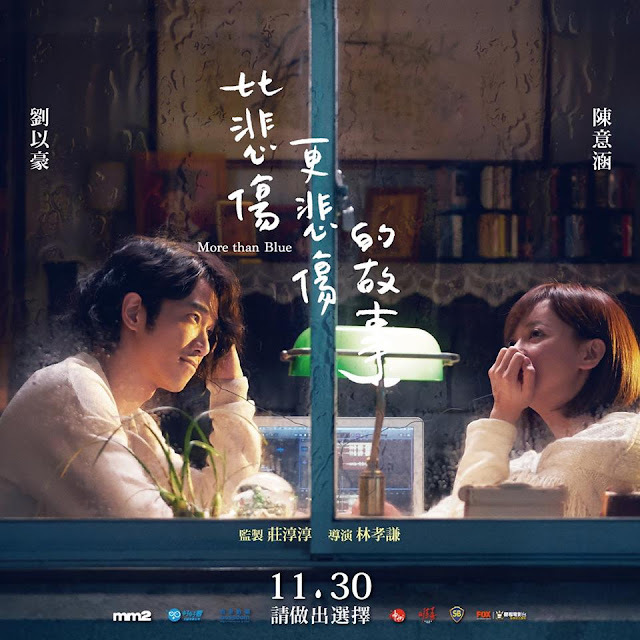 A glossy remake of the 2009 Korean film of the same name, it proves to be a real tearjerker thanks to the persuasive performances of lead actors Jasper Liu (“Take Me to the Moon” – OAFF 2018) and Ivy Yi-Han Chen who sell the idea of fidelity and timeless love.